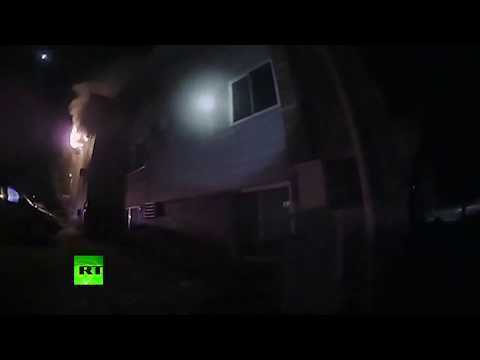 Iowa police officers risk their lives to save childred from burning building | We Seek the Truth! The Des Moines Police Department is praising several of its police officers for rescuing several small children from a burning apartment building early Tuesday morning. The police department released bodycamera video footage from one of its police officers showing him urging a woman trapped on the third floor with several children to drop the children out from the window so he could catch them. He was quickly joined by several other officers who helped in catching the children as they fell from the third-story window.